What: Scottish foursome once hyperbolically tipped as possibly being the next biggest band in the world but have instead settled for being a solidly well-liked one. Which is hardly a bad thing. Why: While not likely to be as packed with hits as their seminal The Man Who, their just-released new album Where You Stand shows the band hasn’t lost their touch for emotive, sensitive guitar-pop that’s both bedsit- and arena-appropriate. Who else: Luke Rathborne supports. No, he’s never heard of you either. How: Tickets for the show are $30 in advance but courtesy of Union Events, I’ve got two pairs of passes to give away for the show. To enter, email me at contests AT chromewaves.net with “I want to see Travis” in the subject line and your full name in the body. 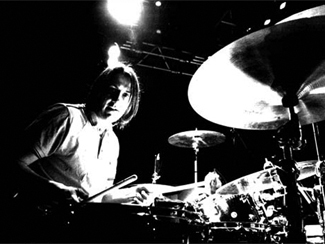 Contest closes at midnight, September 20.
thecharlatans.netSad, sad news out of the UK yesterday when it was announced that Jon Brookes, drummer and founding member of The Charlatans, had passed away of brain cancer. The condition first surfaced during a 2010 North American tour that forced the cancellation of a number of dates, but until recently appeared to have been successfully treated, allowing Brookes to continue playing and recording with the band as recently as this Summer, with the band working on new material. Brookes was 44. It’s not the first tragedy to befall the band – original keyboardist Rob Collins was killed in a car crash in 1996 – but in the almost 25 years of the band’s existence they’ve proven to be amazingly resilient, outlasting pretty much all of their Madchester and Britpop peers while building a really remarkable catalog of albums and singles. 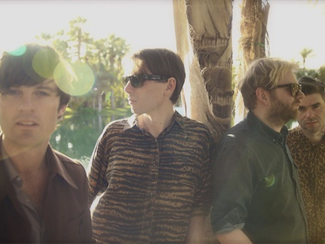 If any outfit could find the strength to carry on after such a loss – should they choose to – it’d be The Charlatans. I feel fortunate to have caught them live at The Kool Haus in early 2002 circa Wonderland, their second-to-last visit (I believe) before a 2006 show at The Phoenix for Simpatico. It wasn’t supposed to be so, but the band were snakebit in their attempts to come back to support 2008’s You Cross My Path and 2010’s Who We Touch; for the former, they scheduled, cancelled, rescheduled, and re-cancelled a date at The Mod Club in Fall of 2009, eventually nixing the tour to allow Brookes to have shoulder surgery and their last attempt in September 2010 – which would have brought them to Lee’s Palace – was scrubbed after Brookes had a seizure in Philadelphia two nights before the show. I’d been largely nonplussed about the band’s output this century, but those last couple records were genuinely solid and I had been quite excited to see them live again – especially in such small rooms – so those cancellations were extra disappointing. For that last Lee’s show, I’d already gone ahead and done the legwork of linking up their entire videography as I try to do for live reviews, and have actually had all of that HTML saved in a draft post for the past three years in hopes that they’d finally return and I could use it. Whatever happens with the future of the band, that return seems unlikely in the near term so I’ll instead post them as a tribute to Brookes and the band. Rest in peace, sir, and thanks for the music. Travis have let Rolling Stone host the advance stream of their new record Where You Stand, which comes out August 19. Fran Healy talks to Metro, The Daily Mail, The Daily Record, and The Arbroath Herald about the new album, which they bring to The Sound Academy on September 25. DIY has both an album stream and track-by-track walkthrough of Absolute Zero, the debut album from Dublin’s Little Green Cars. It came out in North America back in the Spring but is only getting a European release next week, if you were wondering why they’re only getting around to it now. The Fly and The Belfast Telegraph interview members of The Vaccines, who are streaming one of the tracks from their just-released Melody Calling EP via NME. 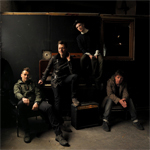 They open up for Mumford & Sons at the Molson Amphitheatre on August 26. 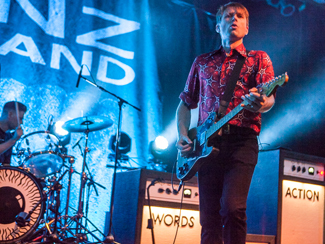 Premier Guitar sits down with Alex Kapranos and Nick McCarthy of Franz Ferdinand to talk about their new record Right Thoughts, Right Words, Right Action with particular interest in – wait for it – their guitars, while The Age settles for a broader-interest feature piece. The record is out August 27 and they play The Kool Haus October 24. Stereogum has premiered the lead video for Summer Camp’s self-titled second album, due out September 9. Alex Turner of Arctic Monkeys talks to Rolling Stone about the new single and video from their forthcoming AM, which comes out September 10. They’re at The Kool Haus on September 15. DIY have premiered the first video from Motto, the forthcoming record from Sky Larkin and Oxford Student also has an interview with the band. The new album is out September 16. Even though you’ve already seen her play it live at an in-store, The AV Club has posted the “proper” version of Charli XCX’s cover of The Backstreet Boys’ “I Want It That Way”, as she learned the song for her contribution to their Undercover series. She also lists her five favourites songs for The Week. Charli XCX plays The Hoxton on September 16. Peter Hook recounts to The Guardian what he sees when he looks in the mirror, which includes a guy who’s going to play Movement and Power, Corruption & Lies at The Hoxton on September 18; he talks to This Is Nottingham about how the live performance will work. And if you want to see what he looks like when he’s trying to teach you to play “Ceremony”, head over to Slicing Up Eyeballs for the video lesson. Spin is streaming another new track from Johnny Flynn’s forthcoming Country Mile, due out September 30. Billboard has a video session and interview with Kate Nash. She plays The Phoenix on November 5. After threatening to leak it herself, M.I.A. has been given a November 5 release date for her eternally-delayed new record Matangi. Over at Noisey, Emmy The Great explains how she came to write the soundtrack for the film Austenland. Editors have released another video from their latest album The Weight Of Your Love; Artrocker also has a quick interview with the band. MTV Iggy interviews Camera Obscura. 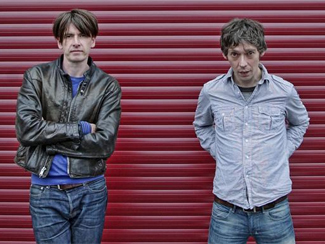 Mat Osman of Suede tells The Quietus what he’s been listening to lately. In conversation with The Daily Star Alex James is simultaneously optimistic and hazy about the future of Blur. Pitchfork has what I believe is the first extensive post-m b v interview with Kevin Shields of My Bloody Valentine, including outtakes. In conversation with The Japan Times, Johnny Marr dumps a whole load of cold, harsh reality on those holding out hope for a Smiths reunion.